For some years now efforts have been underway on Salisbury Plain to re-establish one of the world’s most impressive birds - the Great Bustard. Standing at 1 m tall and with a wingspan of up to 8 feet Great Bustards are enormous birds, and not just in terms of surface dimensions - males can weigh in excess of 16 kg. 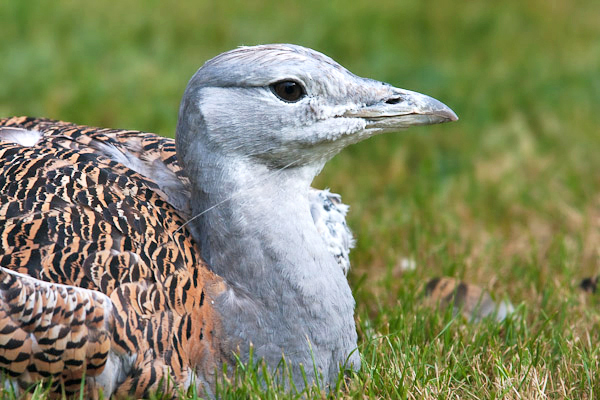 This makes the Great Bustard the world’s heaviest flying bird species. The Great Bustard Group is making excellent progress towards permanently re-establishing this handsome bird in the UK with 2009 seeing the first successfully fledged Great Bustards since 1832 and further breeding success in 2010. 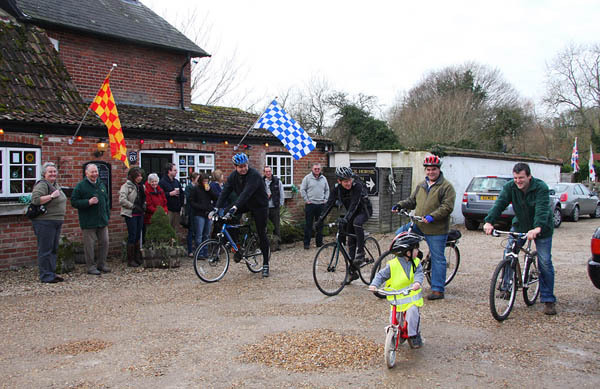 In order to help foot some of the bill for this ambitious project David Waters and his team are undertaking a sponsored cycle ride of colossal proportions. Saratov in Russia, where the reintroduced birds originate, is 2032 miles from Salisbury and David has committed to cycle this distance by himself around the lanes of Wiltshire and in the gym by August 2011. His team are also taking on the challenge and are cycling the same distance (the return leg) as a group. I met up with them today as they notched up another afternoon of hard cycling. Impressively, their commitment to the project and the birds didn’t falter in the slightest as we waved them off from the warmth of the Black Horse in Great Durnford, pint in hand and with lunch waiting on the table. If you would like to help David and his team keep up the pace and meet their target of raising £2032 for the Great Bustards you can donate on the group’s JustGiving page. 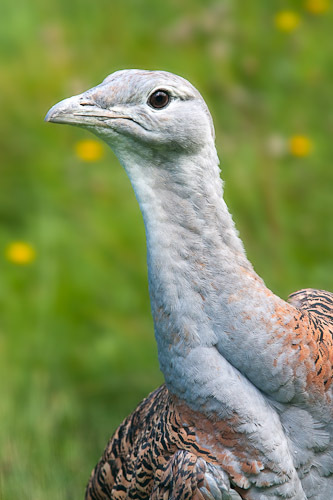 You can also become a member of the Great Bustard Group and/or visit the site by arrangement, all of which will help the project go from strength to strength. See their website for more details.